He hid his real name real name and nationality not from the kings, but from us, the public at large. He always knew he was not in India and he never planned to reach India. His wife not just a Portuguese noble, but at the top of the aristocracy. Rather than rejecting Columbus’ claims, King Joao II of Portugal helped plan the journey because it was a psy op against Spain. It took 500 years to construct the lie and over 20 years to destroy it. 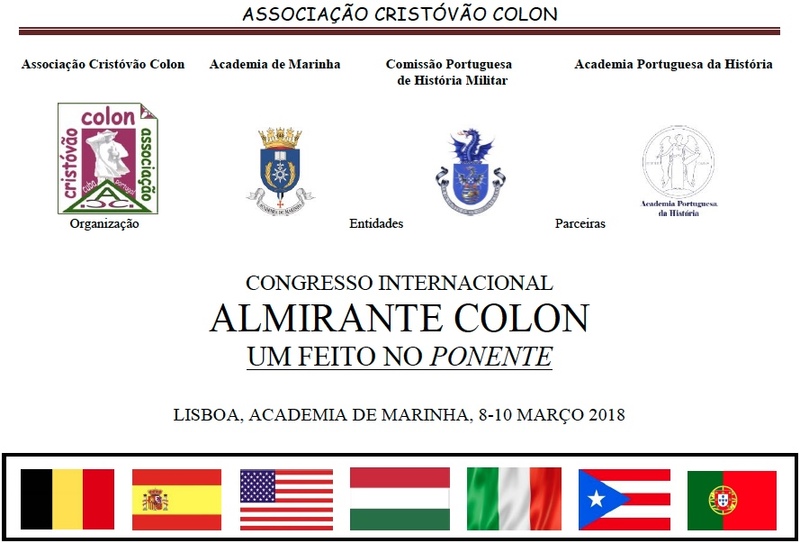 Columbus went to great lengths to conceal his true name because he was on a secret mission for Portugal to lure Spain away from India and secure Portugal’s monopoly. These are some extraordinary claims the author makes, and yet he meticulously supports them throughout the book. Normally I would say he does it in excruciating detail, but there is nothing excruciating about this book at all. Every detail is a compelling fact that leaves you begging for the next one as the plot advances. It reads not only like a historical work, but as a spy thriller and adventure story as well. Rosa travels some exciting side trails too that no Columbus researcher ever even noticed before let alone dared to venture down. He informs us that Portugal was the last Templar state in Europe, that its Kings were regularly excommunicated from the Church and didn’t care! He takes inside the Templar lodges where we learn the secrets of their membership and operations. We witness diplomatic intrigue in England, France and the Vatican. The most surprising, and important, side trip of all is to the Polish court during their war against the Ottomans. The book is chock full of reproduced documents and color plates that support Rosa’s thesis. He conducts numerous DNA tests to verify and repudiate relations and descendants. 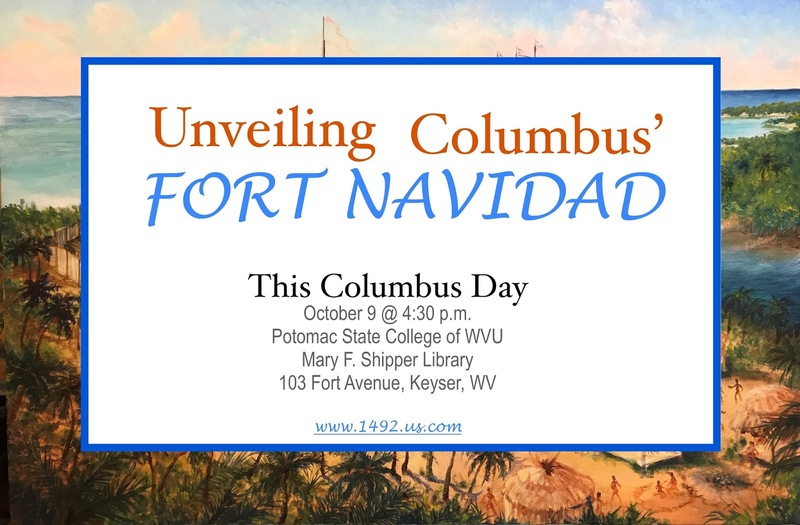 Being Portuguese himself and a genealogical researcher, he brings unique insights and understandings to the Columbus story that, frankly, academic historians just aren’t capable of. If you love history, and especially alternative history, this will be one of the most stunning books you ever pick up. If you love conspiracy theory, this book makes them fact, at least the ones it deals with. If you love mysteries and spy novels, this real-life case will keep you riveted. It’s already shaking up academia with its meticulously developed case and undeniably powerful evidence. It’s too bad Manuel Rosa is not a lawyer, because his opposition would detest his ability to build a case. I cannot recommend this book strongly enough. Buy it from Rosa himself and get a signed edition here: http://www.columbus-book.com/. 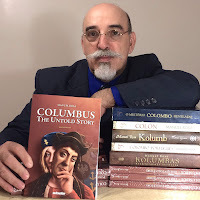 Episode 105 with Manuel Rosa, researcher, historian & author of many books including COLUMBUS: THE UNTOLD STORY. 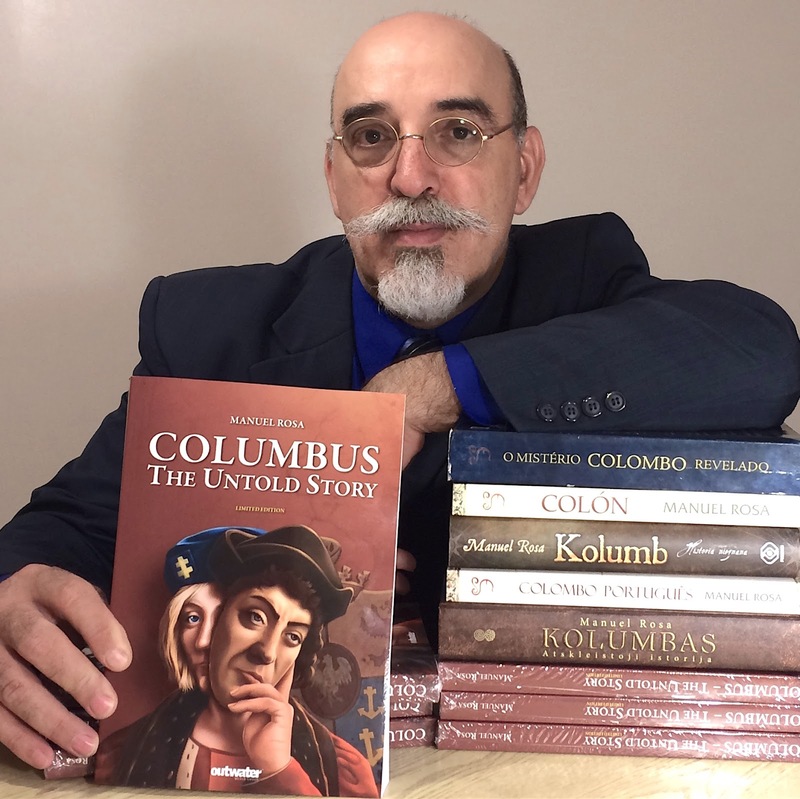 Manuel has spent over 25 years researching the official Columbus story & has published many books, in many languages about Christopher Columbus's life. All these years of research, investigation, analyzing & reading documents, and with his ability to read & speak multiple languages, has led him down a path of uncovering the truth about Christopher Columbus's life. In this episode, Manuel only scratches the surface of all the evidence that proves Manuel has uncovered & exposed Columbus's true identity, birth place, real name, his mission & much more. In This episode and in Manuel's book COLUMBUS: THE UNTOLD STORY, is the research & evidence that proves everything we have been taught about the most famous navigator, explorer & possibly most famous historic figure, has been a lie. I am still reading your book, going back and rereading parts, but I am long past convinced that you are absolutely right. A number of my histories of shipwrecks have in excess of five thousand footnotes, referencing original sources, and I have always immodestly thought I was one of the best researchers in the world, but, after reading your work proving that the man the world knows as "Columbus" was not a lowly Italian weaver from Genoa, but a knight of high noble birth and that his claim to have discovered India was not made out of ignorance but as part of an secret plot hatched between him and the King of Portugal to misdirect the monarchs of Spain so they would not use their resources and manpower to infringe on Portugal's trade with Africa and India, I bow down to you as my superior. It is not only your research and attention to detail that has impressed me but your ability to connect and logically present the evidence supporting your theories. 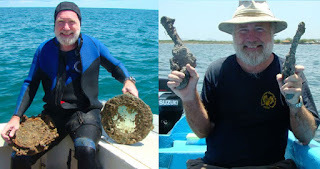 Here is a brief synopsis of how I have concealed my knowledge (of certain things) for many reasons, one being that much of my work hunting shipwrecks and treasure has involved a real need for secrecy. As my father, who was in military intelligence, used to say — "loose lips sink ships." Secrecy and misdirection is something I have frequently used to protect myself and my discoveries. ••• Even in the 1960s, I was keeping some of my discoveries secret through the pretense that they weren't as important or as sure as they actually were. For example, when I was a teenager, a reporter called me up, saying he had heard I had discovered a shipwreck. I acted pleased that he had called and pretended I hoped he would immediately write an article. But that was not the case, I was upset that someone I had trusted had leaked confidential information. 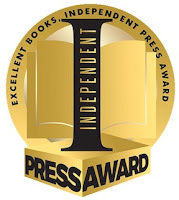 Publication would create competitors. To insure that he didn't write anything, I encouraged him to write something but pretended like I wasn't yet sure it was really a wreck, I expressed worry that it might just be some driftwood. I had actually discovered five wrecks and knew the identities of each of them. All five were Civil War era steamers over 200 feet long. There was no way that they were simply driftwood, as they each had iron hulls. As I had hoped, he didn't write the article and I didn't have to worry about competitors for a while. When he called me back months later, he was obviously pissed and said he knew the truth and was going to write the story with or without my input. I cooperated so I could help limit the info and thus the problems, which I knew the full truth would cause. It made national news and with the fame came not only competitors but instant enemies who were jealous of my success. I could go on for hours relating similar stories. In other words, from my own experiences with dealing with secrets that some I have concealed for decades, and, after reading your excellent book, I fully understand how and why "Columbus" lied and mislead people not only about his discovery, but his true identity, education, knowledge and background. Manuel Rosa, "Christopher Columbus: The Untold Story"
Manuel Rosa will be at The Regulator Bookshop in Durham NC, to read and sign his latest book, Columbus -- The Untold Story, a biography which unravels historical discrepancies surrounding Columbus and presents answers to the many reasonable questions that have never been explained. Columbus is truly an enigma with a much more complicated personal and professional life than history has told, including the high probability that he was of Polish royal blood. Rosa has spent over a quarter century investigating America's legendary "discoverer" and his books have garnered International media attention and inspired dialogue amongst scholars, historians and educators. Now regarded as the world's foremost authority on Columbus, his own "voyage of discovery" began during the Columbus quincentennial, when his doubts were stirred by the supposed marriage of the lowly Italian peasant to a highborn Portuguese lady. 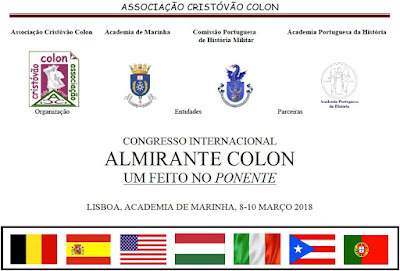 Rosa has essentially proven that Columbus served as a double-agent for the Portuguese crown, that the Santa Maria never sank, but, rather, was purposefully marooned and that Columbus' 1498 Last Will and Testamentis a forgery. Manuel Rosa is a Portuguese-American investigative historian who received the Boston Globe’s Art Merit Award in 1976, the Lockheed Martin Lightning Award in 2002, and the American Institute of Polish Culture’s Special Recognition Award in 2015. He has authored six foreign books on Columbus, has advised UNESCO and the Haitian government on matters related to Columbus' lost ship, the Santa Maria, and has appeared on BBC, NPR, the Travel Channel's "Expedition Unknown," and numerous foreign-language media. Columbus Day is upon us when we celebrate Christopher Columbus' 1492 voyage of discovery. Think you know what Christopher Columbus was up to? Or even who Christopher Columbus was? "Columbus: The Untold Story" is re-writing history, come on down to the Regulator Bookshop and hear for yourself. Friday, October 7 at 7:00 pm.